Behold my new love! 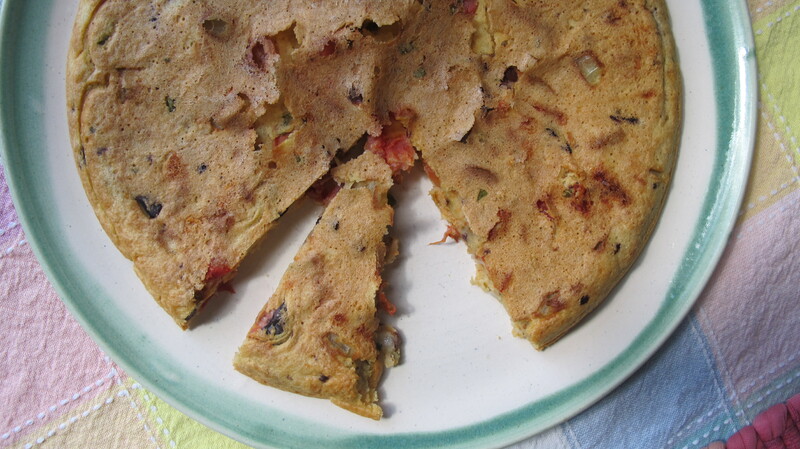 A chickpea frittata-like concoction that makes my heart go pitter-patter. I’ve been trying to do more gluten-free things for my friends—with limited success. This is naturally gluten-free and easy! And adaptable! The inspiration for this is from the luscious blog Lucullian Delights. I’ve removed most of the oil. It’s not really necessary. Whisk together the flour, water and salt and set aside for twenty minutes to thicken. After the batter has been sitting for ten minutes, place an iron pan in the middle rack of the oven and set the temperature at 425. Here they are just before chopping further. When I say dry, I mean dry! As soon as the oven’s ready timer goes off, remove hot pan from oven, pour in olive oil and swirl to coat. Follow with the batter. It will sizzle a bit. Sprinkle veggies and herbs on top and place back in oven. Set timer for 25 minutes. Pull the pan out of the oven and let it cool. Run a spatula beneath the farinata to loosen and slip it onto a serving plate. Ta da! 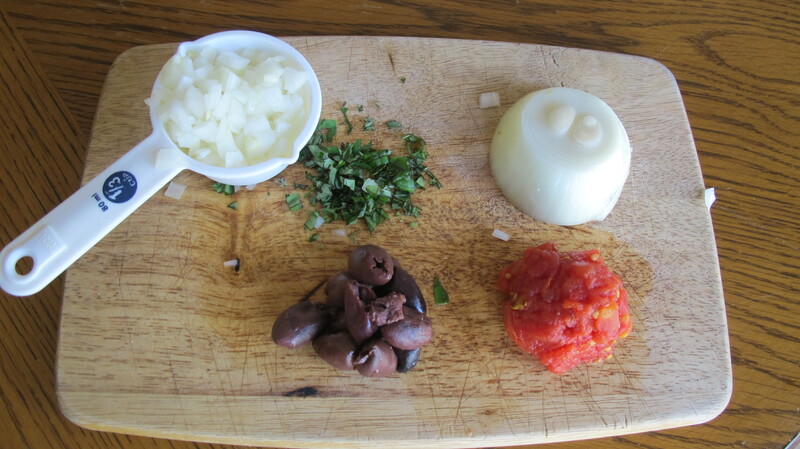 Serve warm or cold, topped with marinara or to accompany soup or salad. You can make a Mexican version with diced green chiles, salsa and black olives or an Indian version with bell peppers, chili peppers and cumin seeds, chili powder and turmeric. Really, it’s genius!